50! Pant has just whipped Bumrah for a six. What a shot from the Delhi lad, after that he uses the pace to find the boundary on the leg side which helps him complete half-century from just 18 balls. Capitals are 176/6 after 18 overs. Much needed for Mumbai Indians and this might help them get some momentum. de Kock smashes one into the stands over mid-wicket and then also gets a couple of boundaries in the over. MI vs DC in IPL 2019 will be broadcast on Sunday (March 24) from 8:00 PM onwards. MI vs DC live streaming will be available on Hotstar and Jio TV. You can follow all the ball-by-ball updates and live commentary with analysis on our live blog. 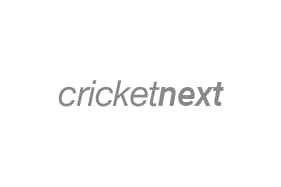 Catch all the live score and updates from the third match of IPL 2019 between MI and DC through Cricketnext's live blog. Preview: There is no love lost between Mumbai and Delhi when it comes to cricket. The traditional rivalry also spills on to the IPL playing field each season, whether the two sides are playing in Mumbai or in Delhi.